What I am about to say may sound harsh but it needs to be said. 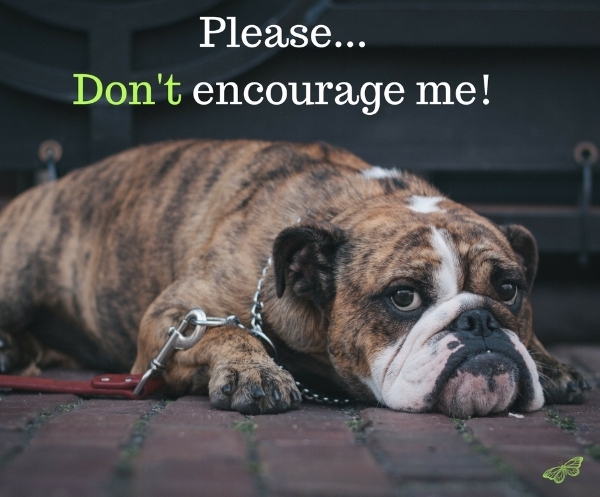 Please do not come alongside someone who is struggling, admonish them and then try to wrap a pretty bow on it by saying that you are “just trying to encourage them.” I don’t need that kind of encouragement and neither does any other parent I know who has a child who is impacted by special needs. Parents of children impacted by special needs will go through seasons like other parents. Ecclesiastes 3:1,4 tells us there is a season for every activity under the sun. There is a time to cry, a time to laugh, a time to grieve and a time to dance. As parents of children with additional needs, we may bounce between these seasons more frequently or even be in one season longer than another. And you know what, it’s okay. It’s okay to grieve. It’s okay acknowledge the loss. In fact, it is actually a good thing. We are not saying that we love the child any less. We are not denying the value of the child or that God has a plan and is using this. There will come a time when we will heal (not to say we won’t still grieve at times) and we will be able to dream a new dream for our child. But if today isn’t that day, that’s okay. Do you really want to encourage families whose children have additional needs? Leave any judgment or condemnation at the door! Don’t feel the pressure to be a teacher or educator on this particular season of life we are in. Most parents of children with additional needs already have enough self-condemnation and guilt that they are dealing with. Instead, be their friend and love them where they are at. Love them in the midst of their emotions without trying to clean it up. Be a part of that healing process. Are you the parent of a child with additional needs? We want to hear from you! What has been the most loving way you have been blessed by a friend, family member or complete stranger when you were really struggling? Newer PostWHAT IS YOUR BREAKING POINT?